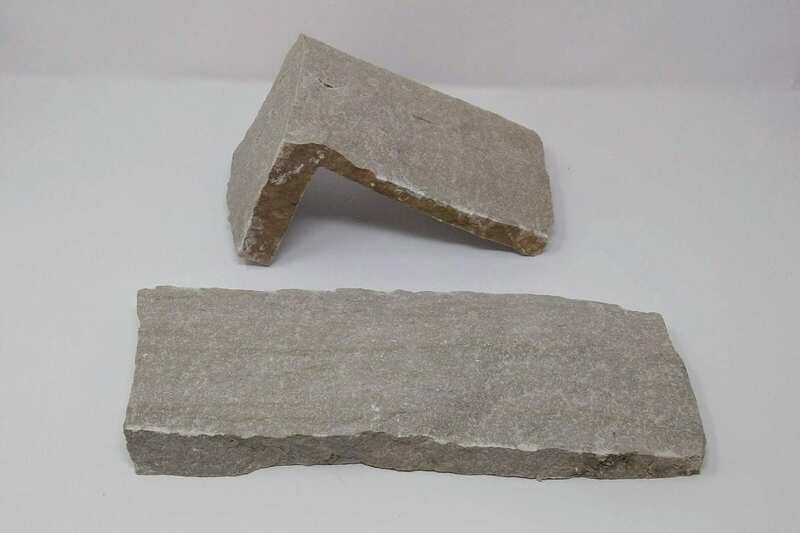 Thin stone, also called natural stone veneer, is cut to about 1¼ inch thicknesses from quarried stones. It is available in all the natural stone varieties and can be customized onsite. Thin cut stone is lighter than full depth building stone, therefore, easier to handle and install on any size project. The lighter weight stones can be installed on any structurally sound wall, including interior walls. The cut stones are equally as durable, water resistant, and diverse in color and texture as the stones from which they are cut. Real stone is much different than man made veneer. 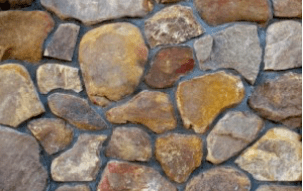 Natural stone veneer is a relatively new application of full thickness stone that has been used for centuries. The thin cut stones retain all the major benefits of full thickness stone like pattern flexibility, color retention, natural colors and textures, and product availability. Man made veneers are limited in these categories. Their colors, textures, and shapes are all limited by the materials and molds by which they are created. Natural stone and man-made veneers do share some characteristics. Both are light weight and easy to handle. This also makes their shipment and installation costs very similar, easily making the real product the better value. 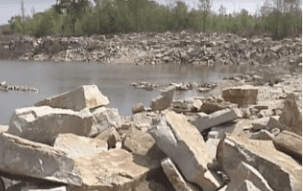 Thin stone veneers are created using state of the art equipment to reveal the diverse colors and textures within the real stones we quarry here in the United States. Each stone is then sorted by color, size, and thickness. Once the stones are cut to size, they are inspected by hand to remove imperfections and maintain a consistent look among each group of stones. 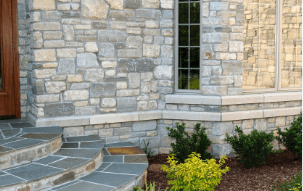 Stones that are selected to be thin stones are handled by our most experienced staff that are extensively trained to safely cut these stones by hand, creating the highest quality stone veneer. The stones are then neatly stacked on pallets for shipment and safe delivery to your home. Caring for thin stone is very simple. Since thin stone is completely natural, it’s tough and will not peel or chip. The only recommended steps are periodic inspection and cleaning. During inspection, look for rare cracks or signs of damage, much like what you would do to your windows or existing siding. Cleaning the stone can be done with a low setting on a power washer or by a soft brush.